Both life and yoga are full of challenges. No-one knows what is around the corner and we need to be flexible in so many ways to be able to cope with the things that happen on and off the mat. Even if you haven't physically bent today, I can bet that figuratively you have. We often bend for those we love, our children, friends, partners and family, as we should. We know that in order to maintain those relationships we need to do things we wouldn't always choose to do. I find that so often there is such a strong correlation between my practice and my life. I notice the days I skip my personal practice and meditation. It is so obvious to me that I am a kinder and more patient person when I am more open, more present and free, all of which yoga provides me with. It is harder now to feel as motivated with my growing baby bump I am finding that I am tired a lot of the time and I am missing my daily practice so very much. I understand I have a lot going on at the moment so am trying not to judge myself too hard and be more understanding of my circumstances. Our house is in chaos as we make room for this adorable little boy which is completely conflicting with my nesting instinct. We have dad's impending trial coming up which is draining me and I am dreading reliving this awful and tragic time in our lives all over again. Wow, I really need my practice. I really need to stay bendy to stay strong, so although I can't necessarily do the major heart openers that were previously in my practice I can still embody that mentality into the practice that I do have and into my life. This picture is of my fringe.yoga business partner, one of my ultimate inspirations and examples of strong women who bend so they don't break. This beautiful yogini is the perfect blend of strength and compassion. Always opening her heart to whoever needs her and intent on helping those around her. I believe this photograph embodies her completely. 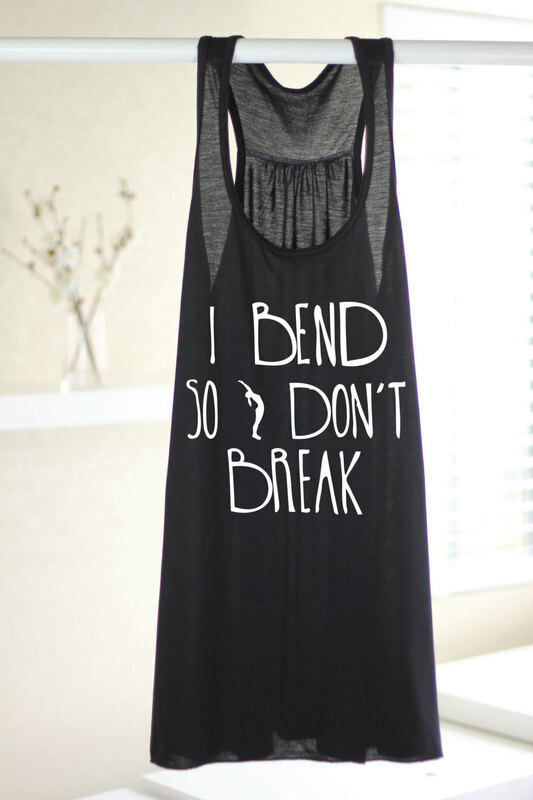 I bend so I don’t break promises. I bend so I don’t break confidence.I bend so I don’t break anyone or anything.I bend so I don’t break emotions.I bend so I don’t break my home.I bend so I don’t break relationships.I bend so I don’t break my career.I bend so I don’t break routine.I bend so I don’t break my mind.I bend so I don’t break my conscience.I bend so I don’t break my motivation.I bend so I don’t break my body.I bend so I don’t break my soul.I bend so I don’t break my path.I bend so I don’t break dreams.I bend so I don’t break my yoga.Why do you bend?